Spring seems to be finally here; hiccupping on its way here since it’s been warm, cold, rainy and freezing all in one week. I enjoy watching the squirrels chase after one another in my back yard and birds chirping and flying into my patio. I do pity my plants this time though because some of them budded prematurely thinking Spring is here a few weeks ago when we had very warm weather and all of a sudden temps dipped putting the plants in a state of well, confusion! To bud or not to bud..! I think nature has its own way of setting things right, plants included. A friend had us over for dinner last weekend and she made these wonderful silky smooth Avocado and Paneer chapatis. They were mildly spiced, melt in the mouth kind and boy was I delighted! When she told me there was an avocado in there, I couldn’t believe it. I kept thinking why I hadn’t thought of trying this before. 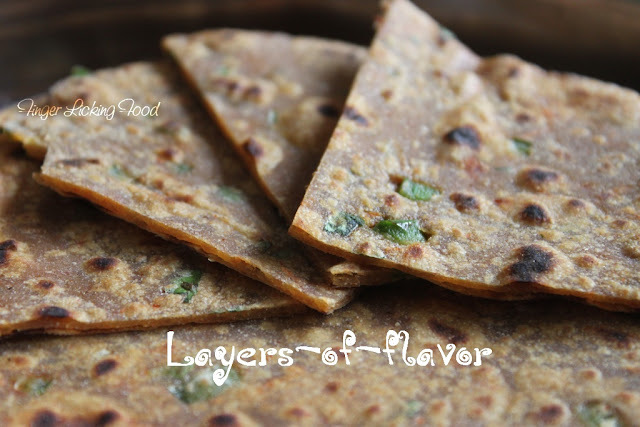 Very simple ingredients but a whole lot of flavor and not to forget all the nutrition packed in these chapatis. I tweaked it a bit to suit our taste and to keep it healthy. You can add grated Paneer too. I left it out so I wouldn’t feel guilty about indulging in an extra chapati. Cut the avocado in half and remove the seed. Scoop out the ripened flesh and mash with a fork. Combine all the ingredients except water in a medium bowl. Add water only as required, about a tablespoon at a time till the dough comes together. This chapati dough will be much softer and smoother than your regular chapati dough. Avocados have no taste of their own except for a silky smooth mouth feel. So you can choose to spice up this dough any way you like.You if you don't want any flavors, you can leave out all the seasonings and add only the mashed Avocado. Allow dough to rest for 10 minutes. Knead for a minute and then divide dough into equal sized balls. 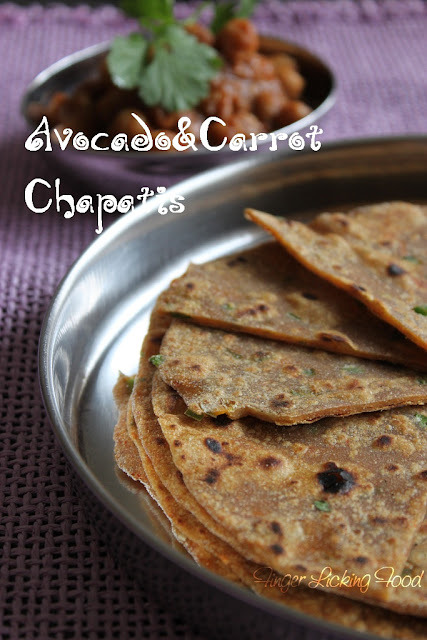 Roll into chapatis and roast on a non-stick or cast iron pan, on both sides until done. I used a cast iron pan, which gave the chapatis a distinct color and taste. 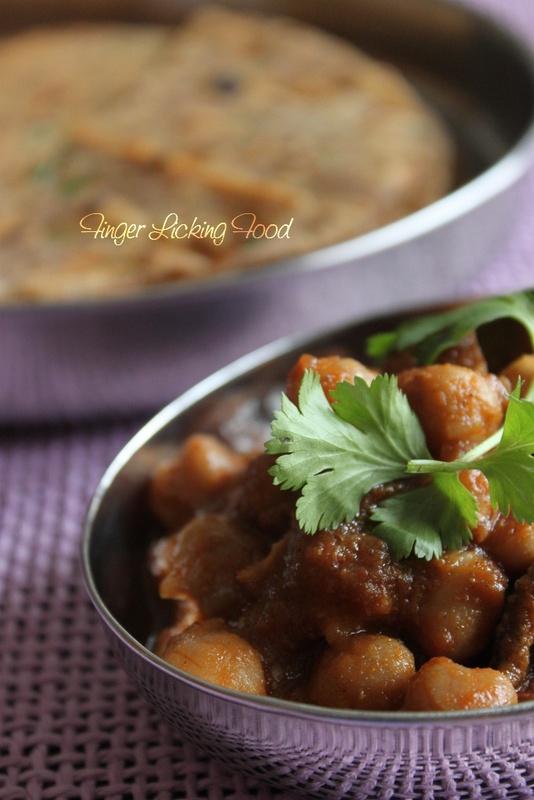 I made mom’s Channa curry to go with these, but the chapatis are tasty enough on their own too. Serve it up with some yoghurt and you have a lip smacking healthy meal. 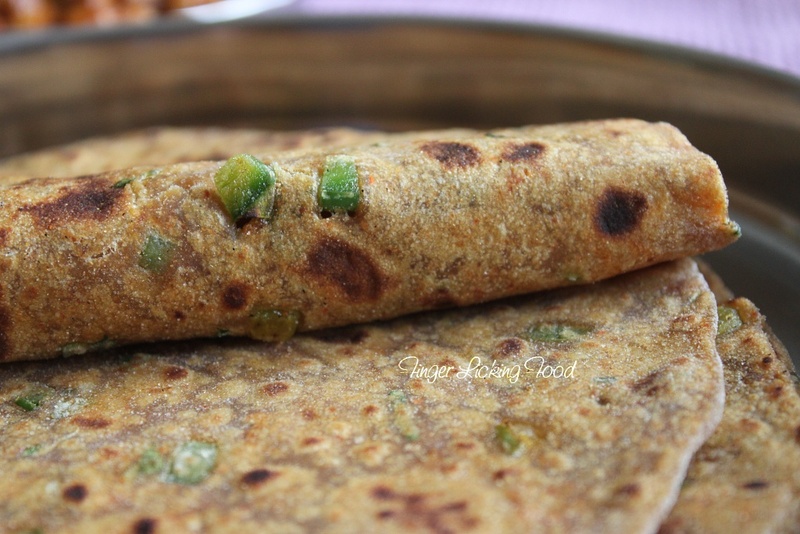 Thanks to friend S for a scrumptious variation on the humble chapati. Your chapatis look great, I make it very similarly sometimes mixing other veggies and sometimes not. First time here, you have great content and presentation, will be back. Wow this is something I have to make. Thanks. This is a good way to consume avocado..very healthy too ! Healthy one. Nice way to make the kids eat their vegetables. YUM! wow, what an innovative idea, love the recipe and pics as well.